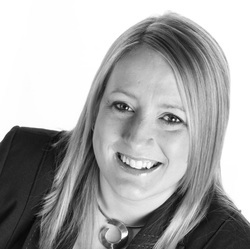 An experienced Senior Practitioner, Hayley has worked in a Human Resource environment for over 13 years, four years as a HR Business Partner within a highly complex organisation. She has substantial experience of working with Senior Management Teams and Board members, delivering HR strategy and operational workforce objectives. This has included carrying out complex transformational change management programmes, delivering on cost reduction exercises, achieving a reduction in the volume of employee relations issues, and coaching managers through complex workforce challenges. Hayley has extensive experience of complex, emotive and contentious employee relations issues, leading on case management investigations. This has included supporting hearing panel members. She has carried out job evaluation over a number of years within a complex organisation, involving existing and new roles within the business, consistency checking of roles across the sector and consultation/negotiation with accredited Trade Union Representatives. Hayley has a 100% Employment Tribunal success rate with regards to claims of discrimination and unfair dismissal, including presenting information at ETs and coaching Senior Managers to confidently present information to an Employment Judge. Hayley delivered a national Transfer of Undertaking (Protection of Employment) Regulations (TUPE) programme, and is an accomplished Executive Coach. She has excellent interpersonal skills, a track record of providing consistent and appropriate professional advice and guidance and sharing knowledge, and high personal integrity.